Magicard and Unifiya partnership for e-ID solutions. One of the World’s leading manufacturers of ID card printers, Magicard Ltd, is pleased to announce a partnership with Unifyia – an expert on scalable biometric solutions. This partnership is one of a number of initiatives from Magicard aimed at fulfilling its mission to enhance trust in identity worldwide. This year at the Clarciev conference in Buenos Aires, Argentina, both Magicard and Unifyia will be in attendance to demonstrate how their products can assist with secure instant issuance in Latin America and the rest of the World. They will also be on hand to provide information and expertise on any issues related to civil registration. With more than 50 years combined experience; this is a strong partnership that will allow both businesses to develop trusted ID solutions for the industry. With the help of Unifyia, Magicard aims to put its products forward as a physical credential to complement the Unifyia expertise. 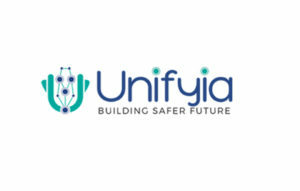 “We are delighted to be able to work closely with the team at Unifyia. Together we are confident that we can aid governments, healthcare providers and others with their biometric identity requirements”. “Magicard is a natural partner for us to provide flexible and cost-effective identity programs with instant issuance as part of their needs”. Attendees at Clarciev can join both companies and discuss how they can offer full, modular or developmental services for e-ID Biometrics.